This appointment has been published directly under the Government of the People’s Republic of Bangladesh. This ministry usually works for all the administration of the state. The organization, working in the Ministry of Public Administration, works to provide effective, professional, volunteer and public services. 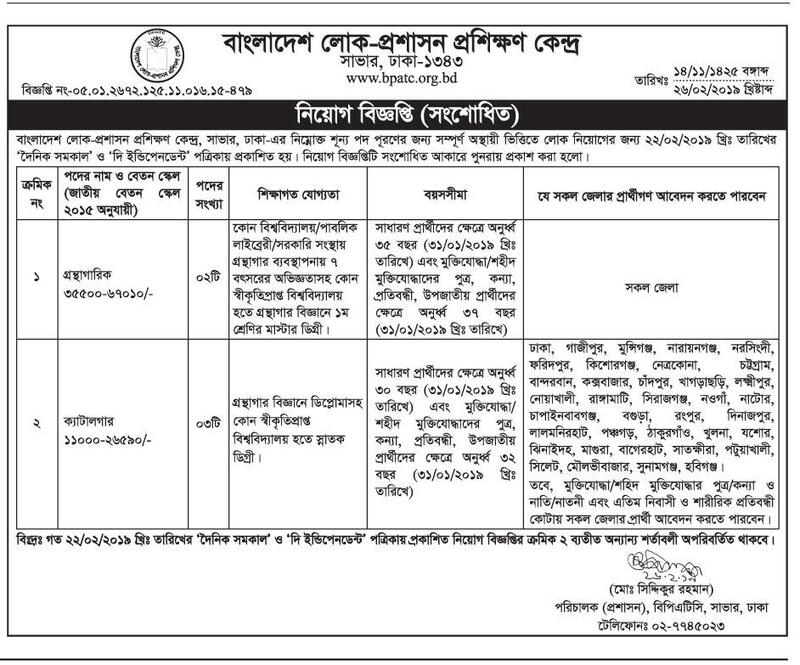 Public Administration Ministry official official website www.rdcd.gov.bd and published in national newspaper of Bangladesh. The Bangladeshi Popular Information Portal, the Newbdjob.com team, has collected and published the job description here. Let’s know about the job of the Ministry of Public Administration. Previous Article Huge job opportunities in Pran companies at the minimum HSC / graduate pass.